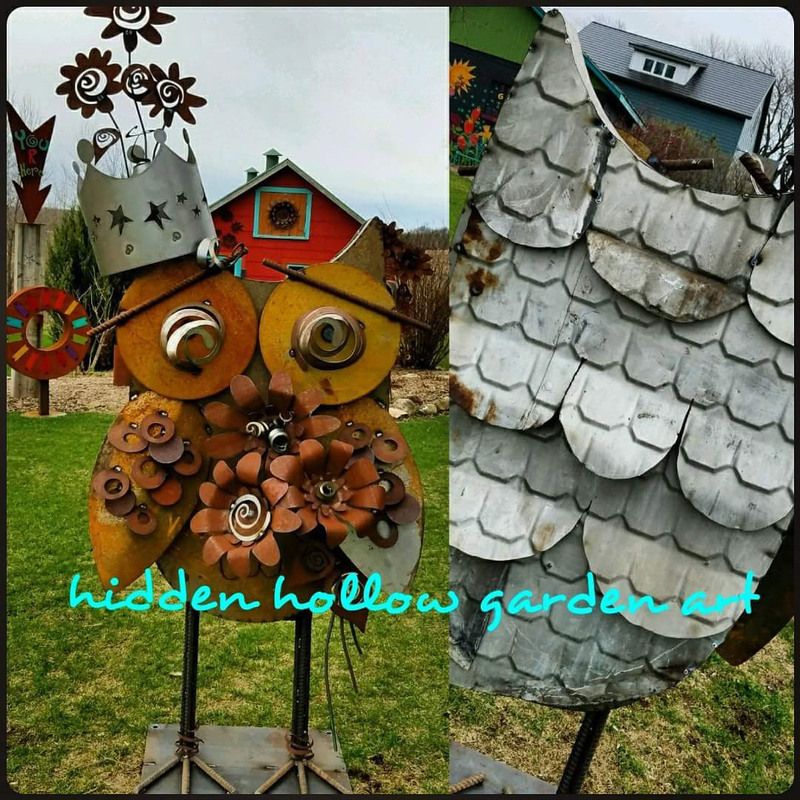 Hidden Hollow Garden ART is a truly magical place, nestled in an inspiring rural setting, where you can find bold and whimsical metal art creations, sure to brighten your space and bring a smile to your face. Meet, “The Bird Lady”. She hung around my dreams for quite some time before she came to life. In her creation we used traps from my Grandpa Ernie for her feet (and necklace) along with other quirky repurposed pieces. She sings to the birds and welcomes all to the Hollow. She is a great reminder to always follow your dreams! 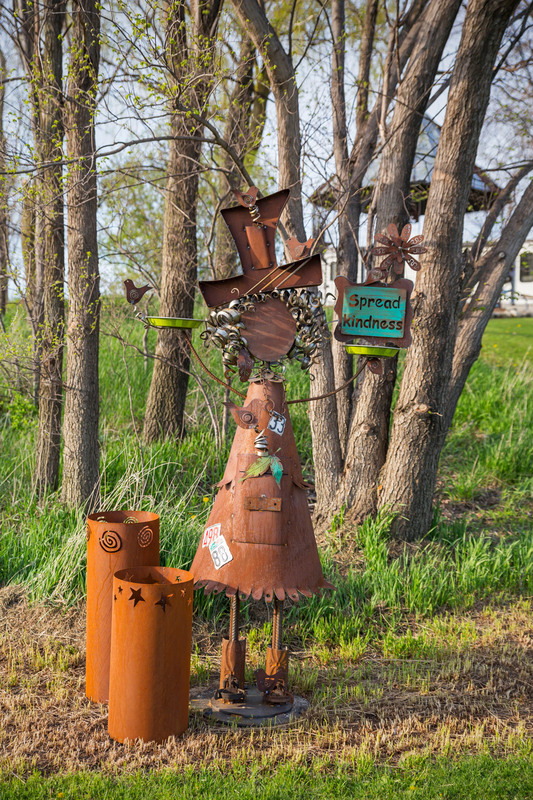 Meet Hootie (& the blowfish) Hipke – WE LOVE HISTORY and we LOVE using pieces with previous lives in our creations! This fun lady’s back feathers were created from parts of an old barn cupola! The cupola came from a barn that was owned by the (former) apple orchard [owned by the Hipke family back in the day] located just down the road from the Hollow. HOOOOOOOO!!! 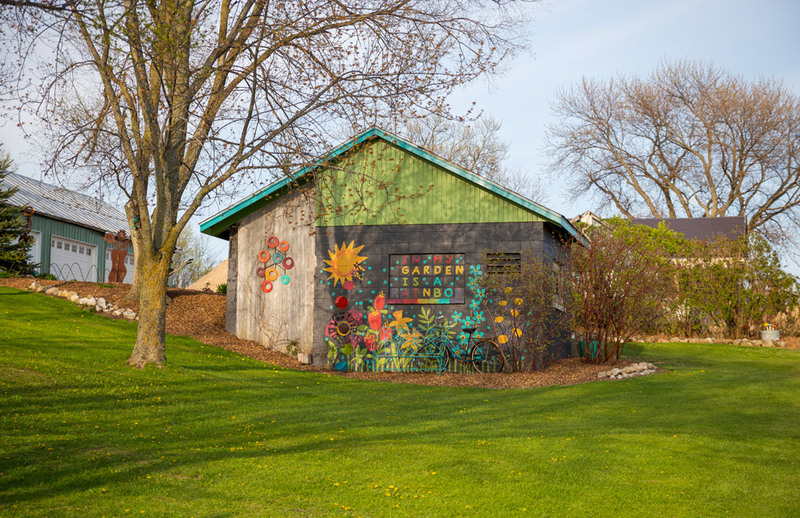 The superstar of our buildings here at the Hollow is The (original) COOP. 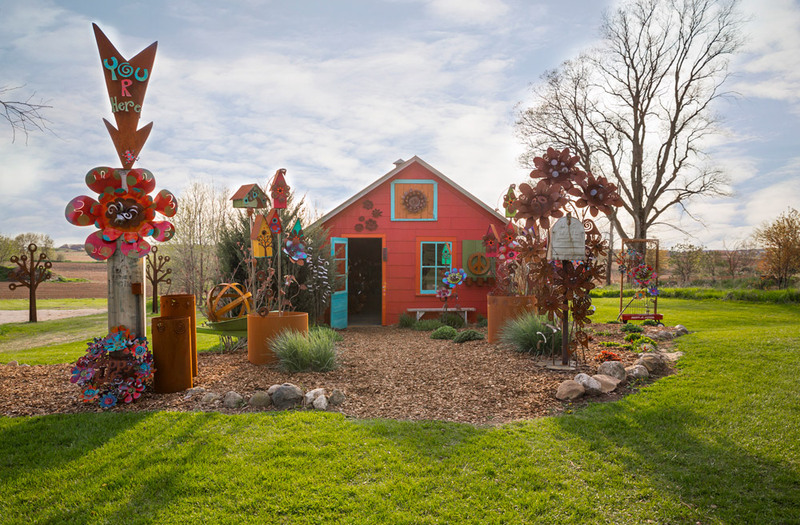 You’ve probably read the story about it being filled to the rafters with hay when we first moved in…well, a lot of hard work, and love and magic later – it’s been our businesses “mothership” since 2010. 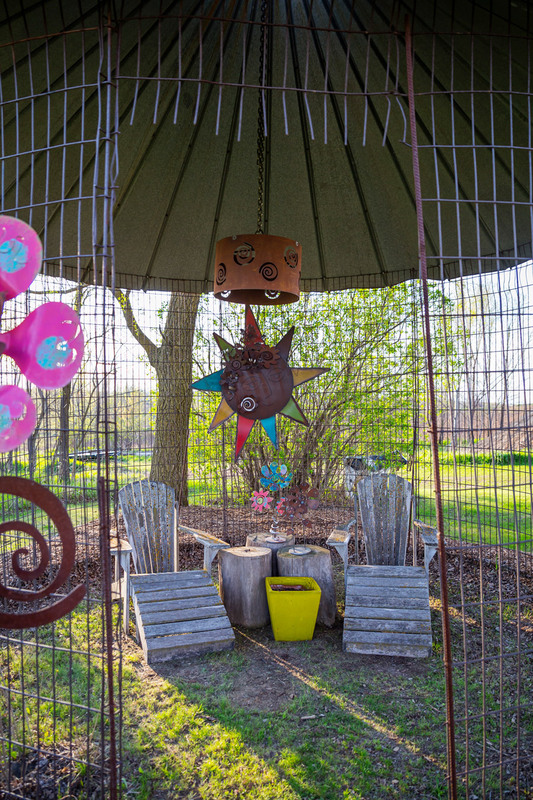 This is our Chill Palace – in it’s former life it held tons of corn, but now, it’s a magical oasis for visitors to the Hollow to sit back, relax, and enjoy the views.